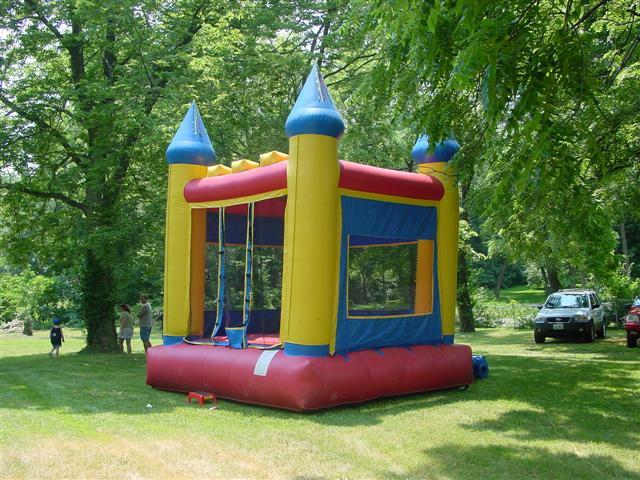 Sizes available are approximately 16'X16' and require a level space of 20'X20'. Common 120 volt electrical outlet is required to power the blowers for inflation. We provide the extension cords for hookups. We will deliver, setup and deflate the moonwalks to your location. These moonwalks are fully enclosed for the safety of your children.